Question: Which Kabbalists have you already gone through and do you feel them better? What is your personal experience on this path? Answer: The fact is that all the Kabbalists have gone through very great steps of the ladder of spiritual ascent to full attainment to fully incorporate with each other. I am not as high as they are, so I cannot say how many each of them has passed through. I feel my teacher Rabash the most. The most important thing for me is to hold on to him constantly. I receive the upper Light from him. Any revelation, attainment, comes to me only through him. 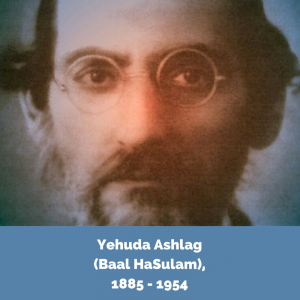 Above Rabash on the spiritual hierarchy is his father Baal HaSulam, then Ramchal, Ari, and other Kabbalists. But in practice, I receive the Light from Rabash. The steps of the ladder of spiritual attainment are constant. Question: How do I ask the teacher correctly in order to receive correct answers? Answer: You cannot because no question deserves an answer and should not be accompanied by it. One must ask everything from oneself or from the Creator. On some issues you should consult with your friends in order to get the strength to move forward, from the teacher you get instructions, and from the Creator—the power of your development, correction, and movement. Therefore, the more we study, the fewer answers you will receive from me. Remark: We often try to ask questions not for ourselves, but for the beginners. My Comment: I always feel what I have to do. Therefore, if a new student appears instead of you, I will answer him at his level, and you will still receive nothing from it.